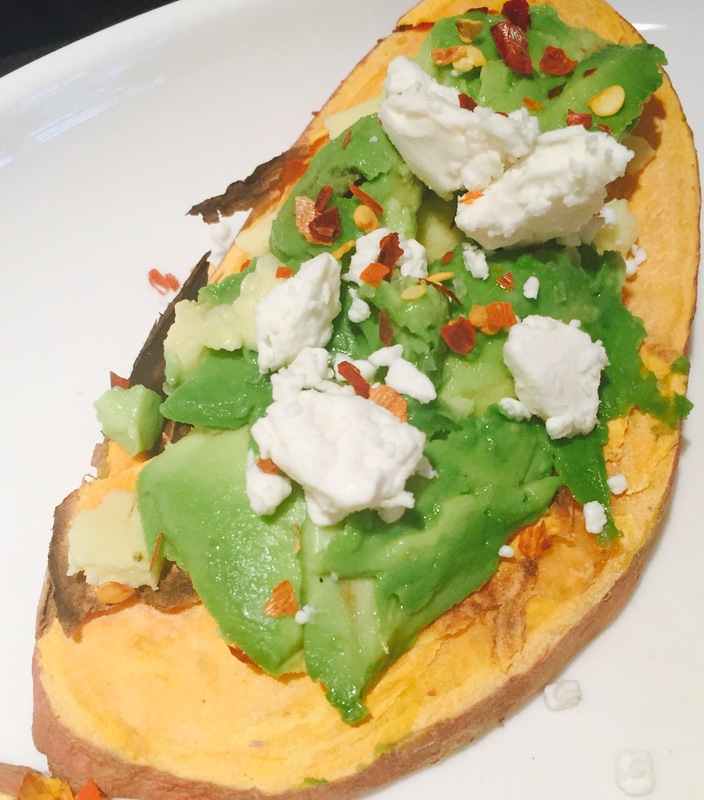 Late to the game as always, I discovered sweet potato toast last week. Apparently this has been a Raging Thing on social media sites for a while. “Toast” is a misnomer here, because no bread is involved. 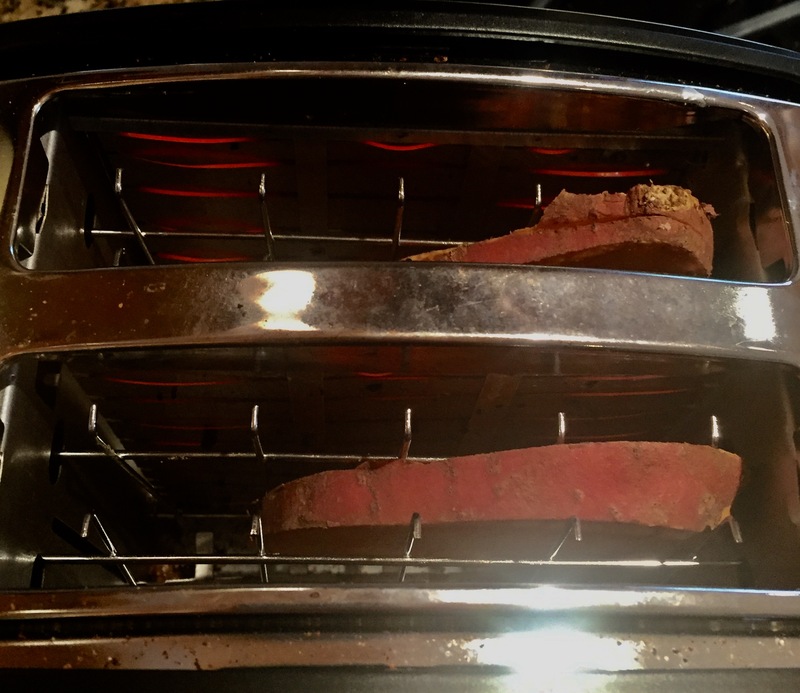 Instead a slice of sweet potato is placed directly in the toaster, topped in an appealing and photogenic manner worthy of Instagram, and then consumed. It sounded easy enough for me to try. 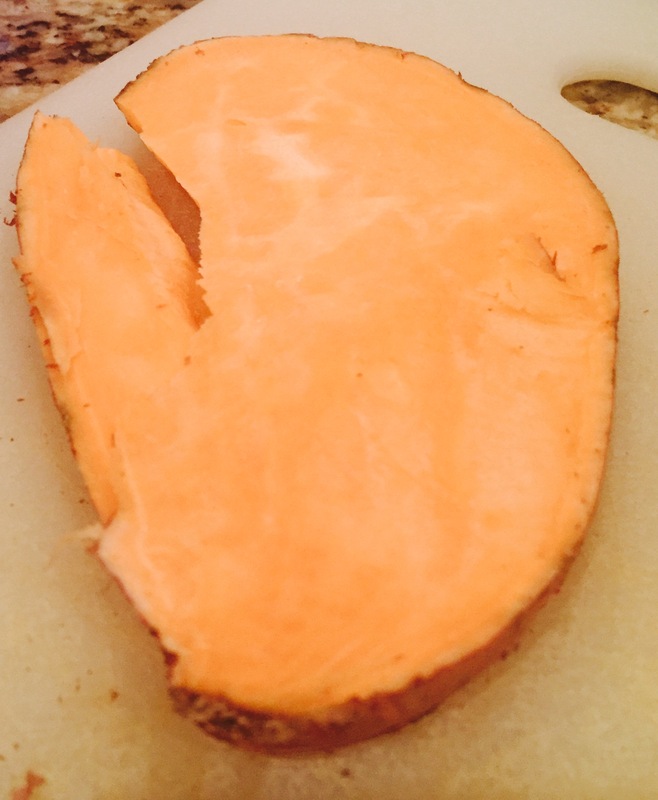 Slicing the sweet potato was harder than I thought. 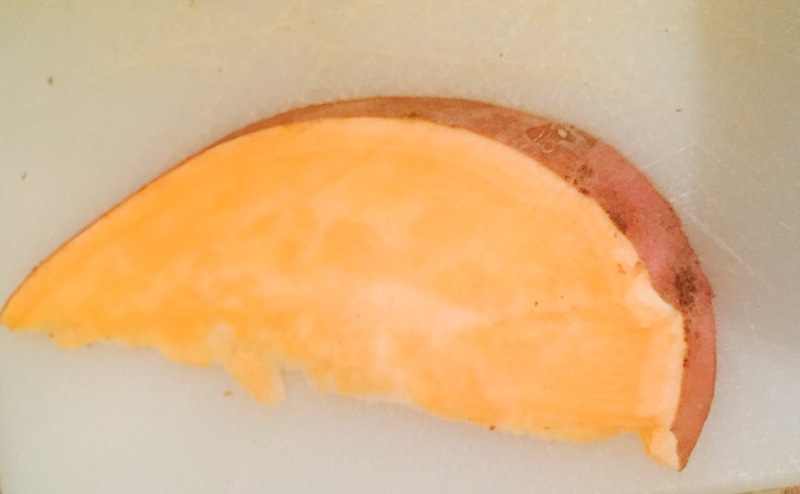 As someone who (successfully) performs surgery on other humans, I was cursing this sweet potato before I got two reasonable pieces. Full disclosure: I put them through four toast cycles before they seemed ready. Both were about half a centimeter thick. 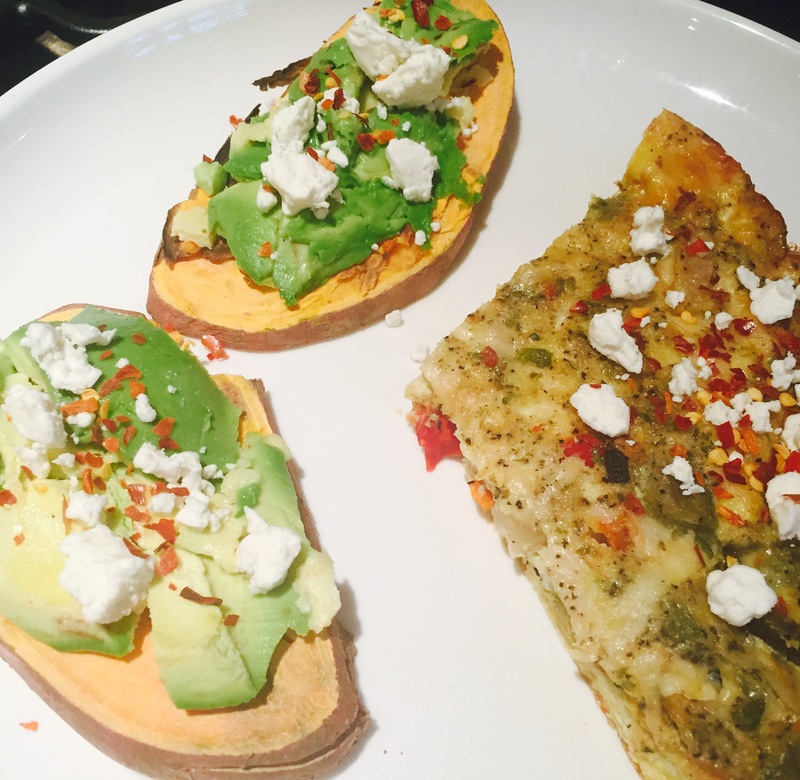 I topped them with avocado, a bit of fat-free feta and red pepper flakes. Vegetarian frittata rounded out lunch. Verdict: this was surprisingly delicious. Granted, I had just finished a 12 mile run and was extremely hungry by the time I ate these, but they were much better than expected. If I’d invest in some decent knives or even a mandoline, this would be even easier. Regardless, I’ll be making this again. 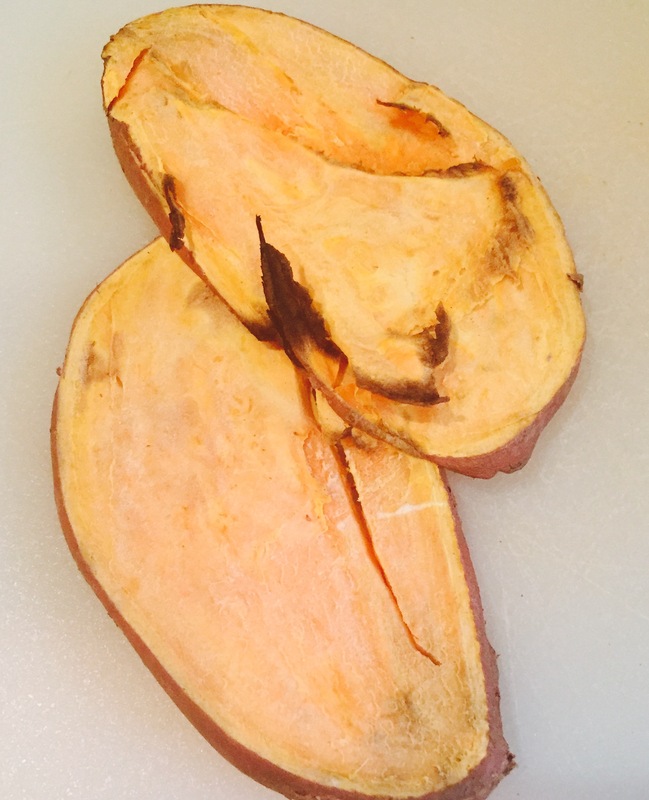 Have you tried sweet potato toast? Would you? 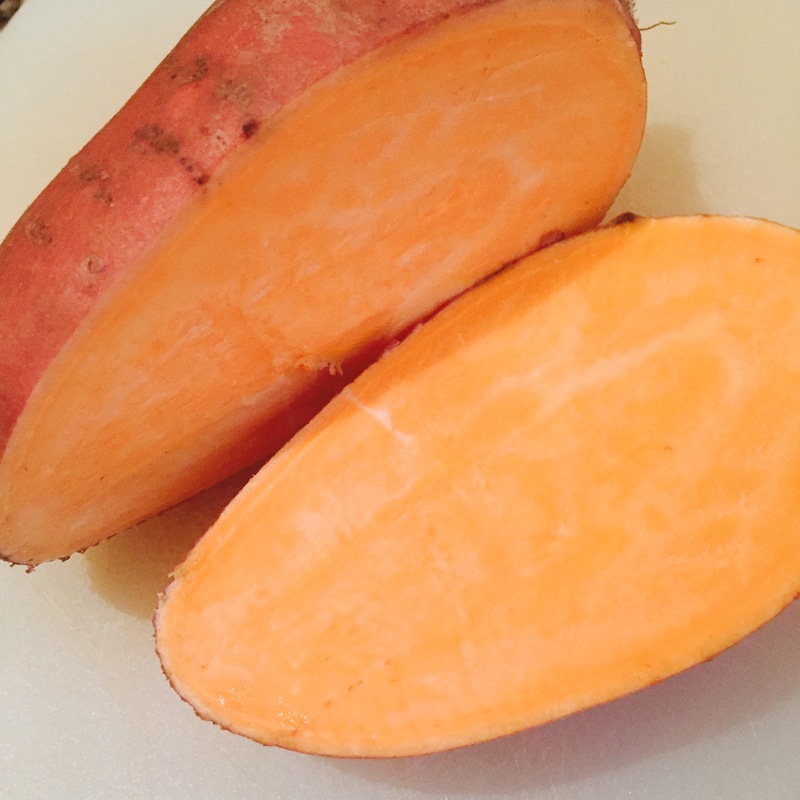 Looks GREAT-and I just happen to have a sweet potato just sitting here begging to be toasted! Let me know if you try this! I made it again the next day. I need to try that today..that sweet potato is still sitting in the basket- just waiting! I’m wondering though about two things, the thickness and about any juices from yam that may drip into the toaster? Cindy: It was totally dry. No dripping. I cut the slices about a quarter of an inch. I hope this helps. Ooh! Sounds delish. Never heard of this before!